FIGURE 63. 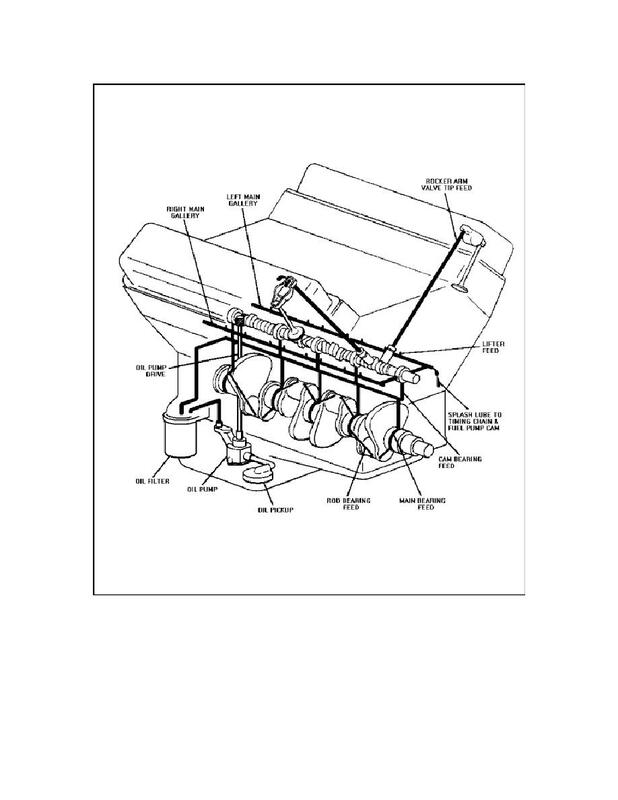 TYPICAL ENGINE LUBRICATION SYSTEM. of the oil inlet in the sump of the oil pan. Now trace the flow of oil from the oil pickup to the main oil line. Then trace the small oil lines leading to each camshaft bearing and to each main bearing.